"YOUR SIGN HERE"! This easy-to-use sign frame makes crowd control even better by adding your own message. 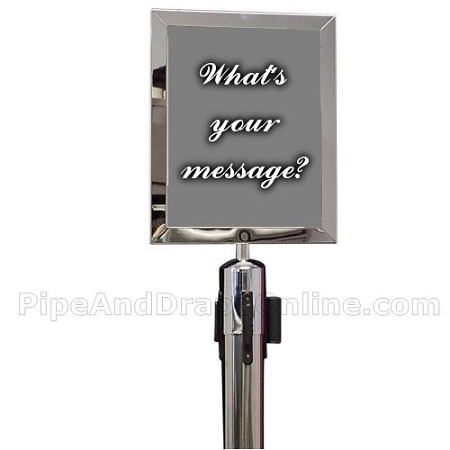 Frame is silver and intended for use with our Chrome Retractable Belt Stanchions. Portrait orientation / vertical sign frame measures 10.5 inches x 13 inches. This size allows a standard 8.5 inch x 11 inch sheet of paper to be used by simply inserting at the top of the frame. 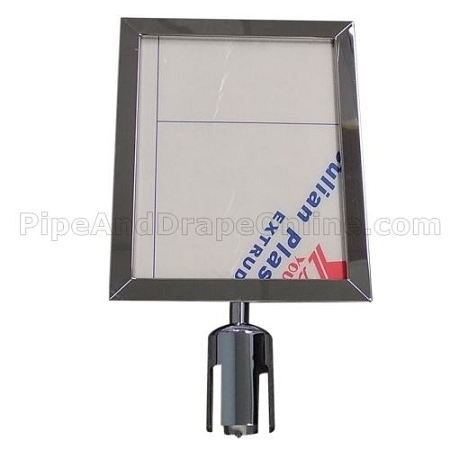 Frame features a 1 inch metal border on all sides, with a metal adapter at the bottom. Clear acrylic plexiglass on both sides allows your sign to be easily read. 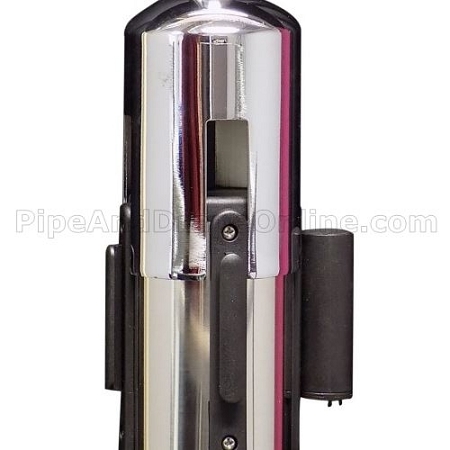 Slotted bottom adapter allows use on your stanchion without interfering with the belt or any belt attachment point. Using this product couldn't be easier! Simply align the open slots on bottom of frame with belt points on stanchion and push down. Done! The sign frame can turn slightly for proper alignment with belt and belt points as needed (note: do not turn too much to align. If needed, it should only need a very slight turn for adjustment). Quantity 1 = 1 Sign Frame. Actual stanchion sold separately.